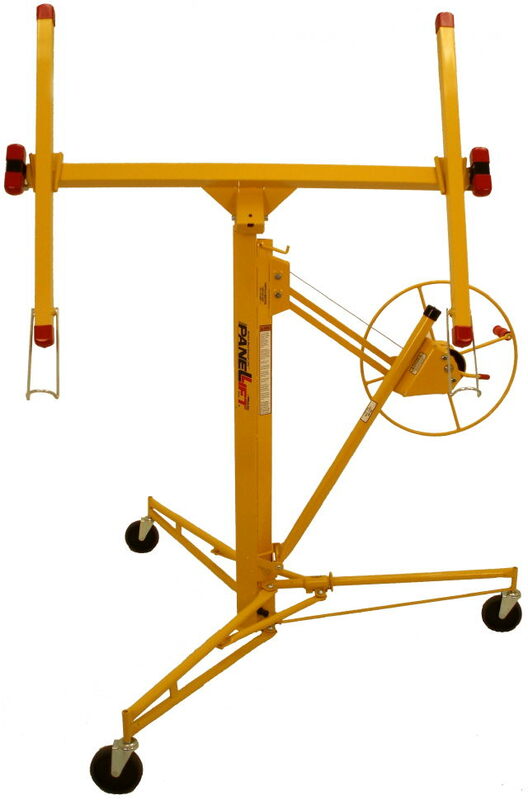 The original PANELLIFT� Model 138-2 is the industry's leading drywall lifter. Why struggle withwallboard when you can single handedly lift wallboard up to 11 foot walls and ceilings. Cradletilts laterally 65 degrees for easy loading and for installation on walls and sloped ceilings. It alsotilts longitudinally 10 degrees. Fast action, single stage winch with silent cam-lock brake easily liftsand lowers wallboard so you don't have to strain your back. Reach with Extension TE-154	12'6? * Please call us for any questions on our gyproc jack rentals in Whistler BC, serving Squamish, Pemberton and the Sea-to-Sky Corridor.